The days of having the time to manicure, fertilize and irrigate your lawn are few and far between. We live in a world with less and less water and more information about the negatives of fertilizer. Having a beautiful lawn should not be a full time job. ProEco is committed to the environment and believes that a beautiful yard should be enjoyed. 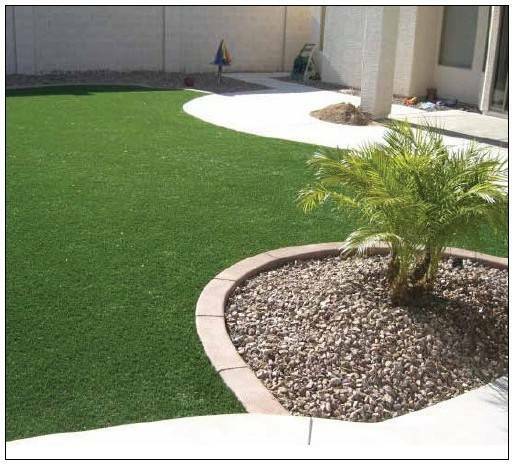 Our turf products are designed to be economical and easy to install. Most yards can be installed in a day by professional contractors. Homeowners can also install ProEco Turf themselves. Its about time to do away with all of that hard lawn maintenance and go with a beautiful Pro- Eco Turf lawn, cutting out all of that wasted time and money!